Below you can find a list of our partnerships and affiliations. The Arizona Landscape Contractors Association’s mission is to provide the education and government representation resulting in the enhanced professionalism of members and the public’s perception of Landscape Contractors and the Green Industry. ALCA also provides services and benefits to members that can reduce their cost of doing business. When you contract with a member of the Arizona Landscape Contractors’ Association you are contracting with professionals that belong to an association that provides specialized training so they utilize proper installation methods and best maintenance practices for their customers. A beautifully landscaped project is a visible investment that leads to a substantial return. Before hiring a landscape contractor, check for membership in ALCA, the only professional organization for landscape contractors in Arizona. Membership demonstrates a willingness to stay up to date on the latest techniques, newest trends and designs, and ever changing industry rules and regulations. Recognized as “The Voice of Arizona Subcontractors”, ASA is dedicated to improving the business environment for all segments of the construction industry through advocacy, leadership, education, and networking. The ideals and beliefs of ASA are ethical and equitable business practices, quality construction, a safe and healthy work environment, integrity and membership diversity. As a subcontractor advocate, ASA works at both the Federal and State levels to make the changes necessary to protect subcontractor rights about prompt pay, fair procurement policies, harmful indemnity clauses, retention practices, egregious and abusive contract terms, OSHA rules and economic and tax rules, just to name a few. For more than 27 years, Rosie on the House’s mission is to be every Arizona homeowner’s best friend. 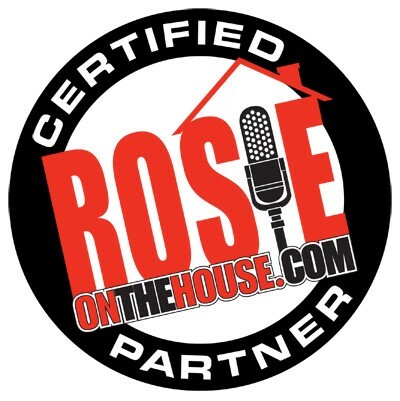 As Arizona’s most trusted home improvement resource, Rosie on the House protects, informs and entertains Arizonans with its statewide weekend radio program, weekly newspaper columns, trusted referral network (electrical, plumbing, painting, air conditioning, roofing, etc. ), and the State’s largest collection of do-it-yourself articles, tips and advice on RosieontheHouse.com. The most-listened-to, syndicated weekend radio program, heard every Saturday morning in Phoenix, Tucson, Green Valley, Prescott, Flagstaff, and Sedona. 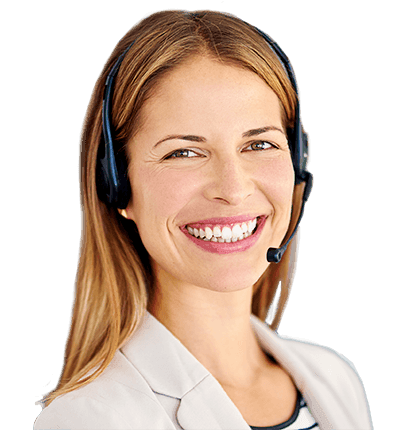 Rosie on the House first developed its referral network ensuring that partners are the very best-of-the-best. Each Rosie-Certified partner undergoes a complete and thorough background check, must have worked in their specialty for at least five years, has demonstrated a commitment to their community, demonstrates excellent customer service, and has earned respect among their peers and competitors. All network members must have good credit records and be in good standing with the Arizona Registrar of Contractors. Local First Arizona is a non-profit organization that celebrates independent, locally owned businesses. We support, promote and advocate for a strong local business community and raise public awareness of the economic and cultural benefits provided by strong local economies. Local businesses contribute to a sustainable economy for Arizona and build vibrant communities we’re all proud to call home. Local First Arizona promotes, supports and celebrates a vibrant and sustainable Arizona economy by educating citizens about local business ownership, social equity, cultural diversity, environmental kinship, and collaboration. Local First Arizona’s business coalition represents nearly 3,000 locally owned businesses of all industries and sizes across the state. Local First Arizona also boasts about 1,000 individual members of the Localist program. Local First Arizona Foundation is a statewide organization focused on community and economic development in order to build self-sufficient, healthy, and prosperous communities. The Foundation is the 501c3 nonprofit sister organization to Local First Arizona focusing on healthy local foods, the Fuerza Local Accelerator Program, and rural economic development. Together, we are creating a movement that has proven results across a wide variety of measurables including youth retention, job creation, and economic growth. The Peoria Chamber of Commerce is an advocate for business, encouraging the entrepreneurial spirit while proudly displaying our patriotism and promoting our diverse community with honor and integrity. Business Advocacy: Members issues are of top priority. We focus our attention on understanding legislation while ensuring that our members have access to news, information and people in decision-making positions. Integrity: We will do the right thing, every time. Community: Many of our members live and work in Peoria and the West Valley. While we focus our efforts on the business community, we also serve every resident and visitor who asks for assistance. Entrepreneurship: Business owners, managers, and employees embody the entrepreneurial spirit that makes America strong. We value entrepreneurialism at every level, every day. Patriotism: We share a belief in the United States, free enterprise and support our active and retired military personnel. 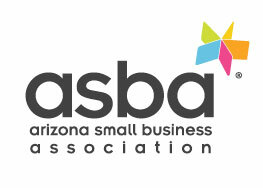 The Mission of the Arizona Small Business Association is to be THE statewide resource for small business. Business owners join ASBA for the convenience and efficiency of our products and services, to engage and advocate for public policy that ignites small business growth, and to foster a positive economic direction for Arizona powered by entrepreneurialism. By bringing thousands of small businesses together, ASBA has created greater value for all members and is proof positive that our mission of supporting small businesses through an active and connected community is working. We strive to bring relevant education opportunities to help the everyday business owner improve their business knowledge, solve problems, and ultimately become more successful. ASBA understands the value of creating a variety of opportunities for members to meet potential clients in a structured environment. Our Signature Events provide business owners with the opportunity to not only grow their business but also expand and enhance their existing network and create new professional relationships. Whether you’re a startup or have been operating for decades, we provide access to valuable business resources. These resources include our partners, our Business Mentor Program, and access to complimentary marketing tools. ASBA’s mission in Public Policy is to advocate for the Arizona small business community before the Arizona State Legislature, Congress, and Arizona cities and towns. We work diligently to advocate for legislation that supports a pro-business agenda and to eliminate legislation that threatens small business. Sunburst Landscaping, Inc. maintains an A+ rating with the BBB.